← Hawaii on a Budget?!!! Kids + Vacations = ? I’ve found that the first question that I have received after people find out we are going to Hawaii is “Are you taking Xander?” My typical response involves me raising my eyebrow, making a confused face, and replying “Ummm…. why wouldn’t we?” Yes, I believe parents should get away occasionally because there are certain things you can’t do when you have a kid in tow, but for me Kid + Vacation = Fun. I can’t imagine NOT taking my son; I want to show him the world. I realize that isn’t always the case and many probably disagree with me. There’s probably a long list of reasons why they don’t agree. Some kids aren’t accustomed to travel or have trouble sleeping in beds other than their own or don’t do well with altered schedules and new situations. Or perhaps taking a family that includes 2, 3 or more kids means more work than relaxation. Or maybe parents think a kid vacation means only doing boring kid stuff. My parents, for instance, didn’t really venture far from our home base when it came to vacations. I’m pretty sure my brothers and I were pains; we didn’t travel a lot. Us three kids would fight or complain or harass our parents or act like hoodlims. They’d cook meals at the condo because venturing out was a big deal. We went to Ft. Myers Beach every Memorial Day weekend (4 hour drive from our house) and we went to Virginia to visit my grandma (via a familiar car roadtrip). That was it. We didn’t go on cruises or travel abroad. Once in a blue moon we’d go someplace like D.C., but again, I don’t think my parents found it fun. Perhaps that is why I keep getting the “Are you taking Xander” question. For many people, Kid + Vacation = Work. I never wanted it to be work for me, and I wanted the equation to equal “fun,” so I started preparing Xander as soon as he was born. I got him on a schedule. I forced him to sleep in a variety of places. We took him with us shopping and out to restaurants. And ultimately, we started traveling with him. 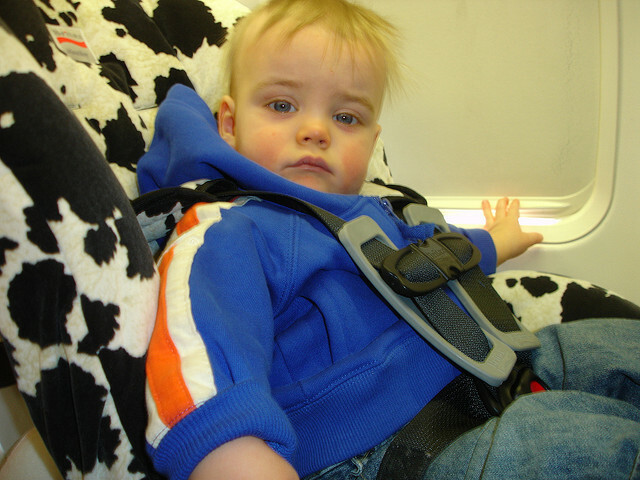 I did lots of research and packed a ton, but Xander took his first vacation/airplane ride when he was three months old. He went on a second one at six months old and a third one when he was nine months old. There was a learning curve, but it was so worth it. First time on an airplane! 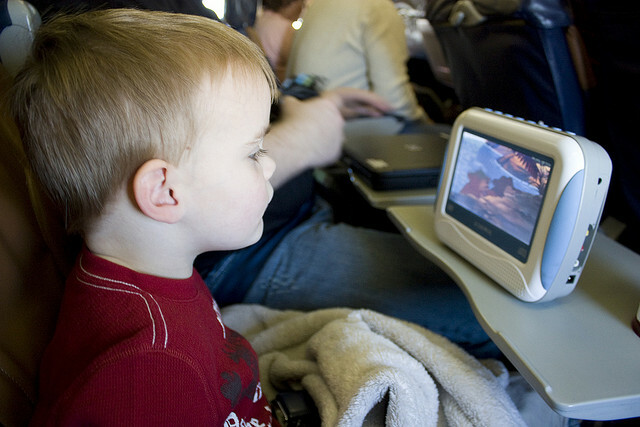 I’ve lost count how many times Xander has been on a plane; it’s at least 25 or more times in his 7 years. I’ve flown with him solo a handful of times even. He’s very familiar with traveling in cars, on planes and staying in hotels; it’s a predictable experience for him (and us), so it’s painless. Yes, there’s been two occasions when he wasn’t feeling well on the plane and his ears hurt him, so not every trip goes as planned. We’ve been to various walk-in clinics during our vacations for ailments like pink eye or an ear infection or a fever, too. You just gotta roll with the punches and readjust. 1. Plan ahead- do your homework. 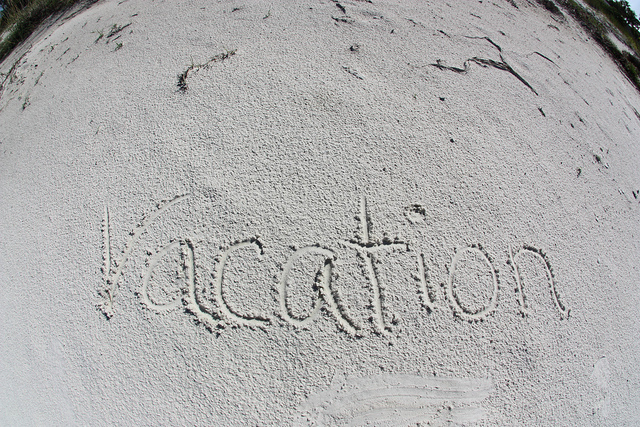 The more work you do ahead of time, the more you can enjoy those vacation moments. 2. Be flexible- things won’t always go according to plan, so have a backup plan or an abort mission plan. 3. Have a good attitude (aka laugh it off)- if you think negatively, then you’ll never be happy. 4. 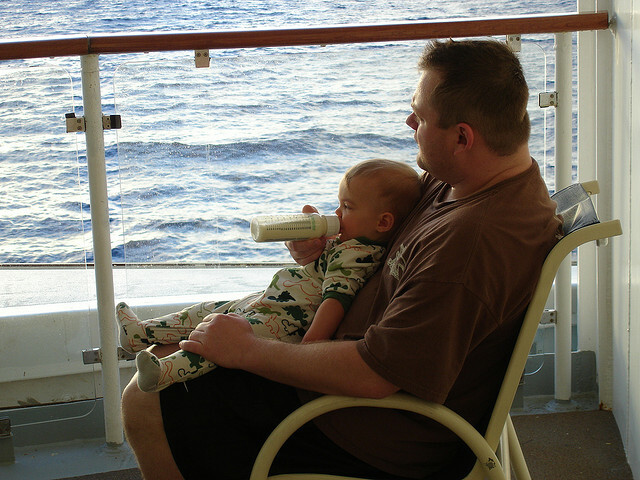 Balancing act- do something on vacation for your kid(s) AND for yourself. Wanna know when I update this site?